The Spotlight Award is given to an attorney whose talents and achievements stood out to the DK Global team. Attorney Matthew Breining of Cutter Law P.C. has been awarded this distinct honor for his dedication and empathy in fighting on behalf of his clients and their families. 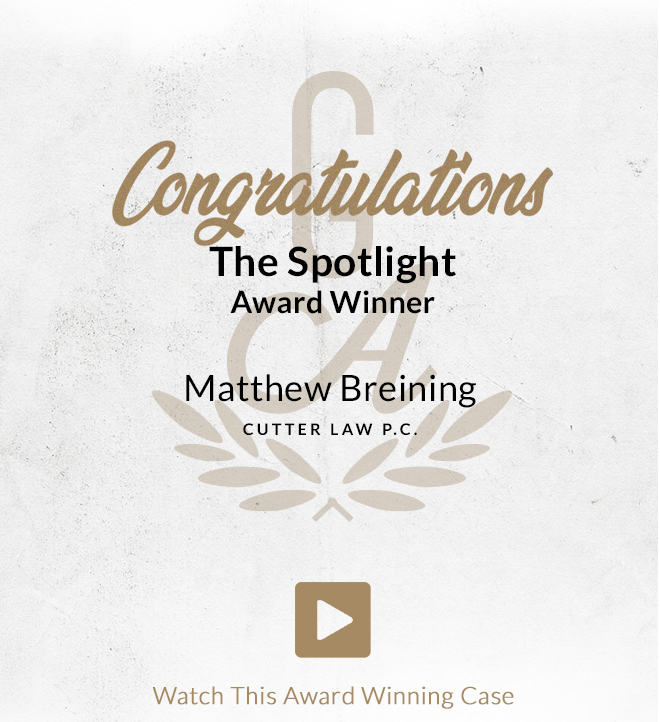 Matthew Breining truly presented what it takes to be a Golden Advocate after working diligently to provide the justice a family deserved after losing a loved one to medical malpractice. Demonstrating that the hospital was ultimately at fault for the man’s untimely death, a settlement was reached. 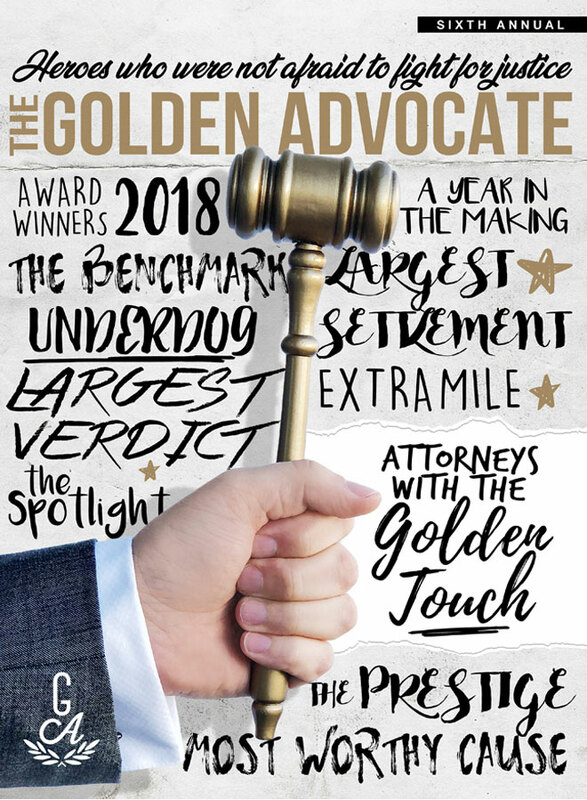 We are proud to introduce this award to a well-respected attorney who cares deeply in presenting his clients stories and attaining the justice they deserve.